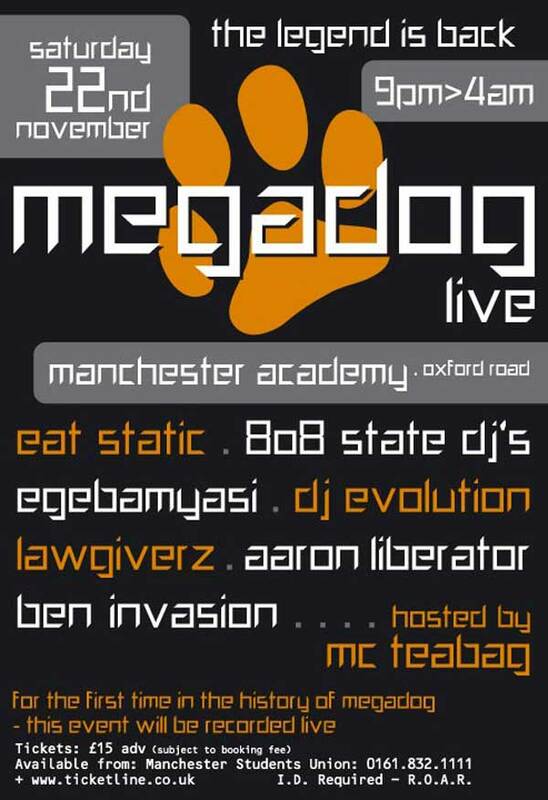 Sat 22:Nov - 808 State DJs - Megadog - Manchester Academy. Sat 22:Nov - DJ Graham Massey @ Phush - Band on the Wall, Manchester. 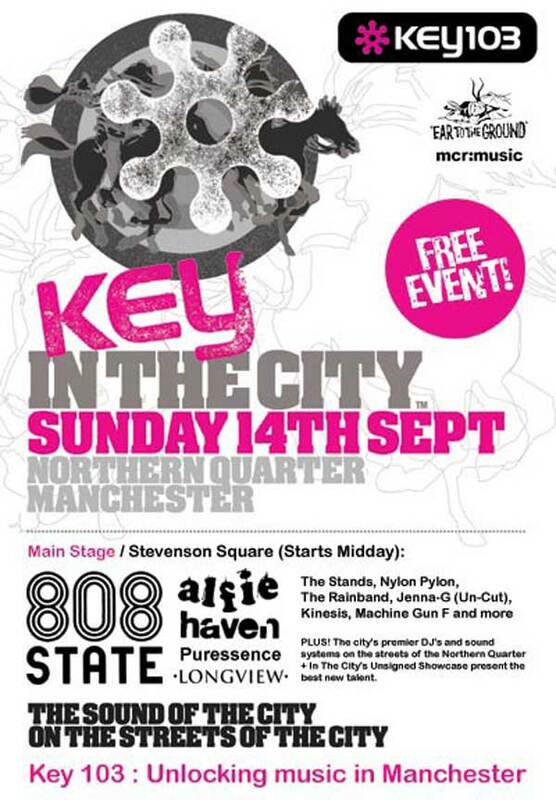 Sun 14:Sep - 808 State Live @ In The City - Stevenson Square, Manchester. Images and report. 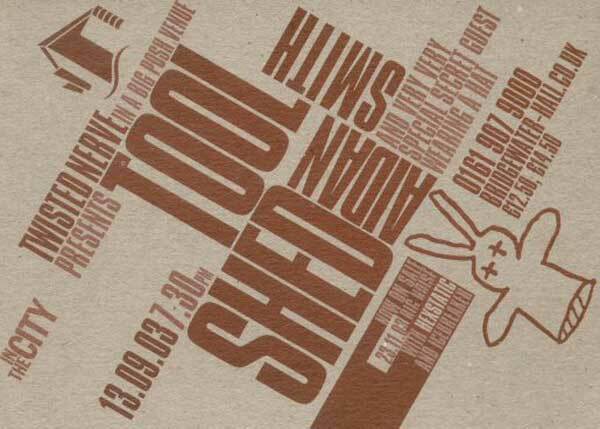 Sat 13:Sep - Toolshed - Twisted Nerve In A Big Posh Venue - Bridgewater Hall - Manchester. 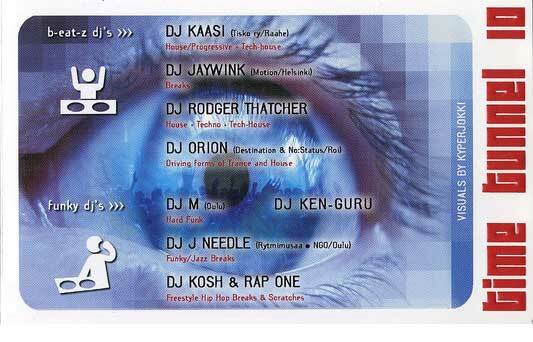 Sat 30:Aug - 808 State DJs - Time Tunnel 10 - Uusi Surahuone - Oulu - Finland. Images. Sat 30:Aug - Homelife - respect festival - Platt Fields Park, Fallowfield - Manchester. Images. Fri 08:Aug - 808 State Live - Benicassim International Festival (8-10 Aug) - Spain. Report here. Fri 08:Aug - Homelife (without Graham Massey) - Summer Sundae @ Demontford Hall - Leicester. Sun 03:Aug - Homelife - Cabaret Frappe - Grenoble - France. Sat 02:Aug - 808 State DJs - Summer Sonic Festival - Tokyo - Japan. Sat 02:Aug - Homelife - Les Trans-Cevenoles - Sumene - France. Fri 01:Aug - Homelife - Festival les 3 Elephants - Lassay - France. Thu 31:Jul - Homelife - Les cafes de l'ete - La Roche Sur Yon - France. Sat 26:Jul - Homelife - Womad - Reading. Wed 23:Jul - Homelife - Scène Ella Fitzgerald - Parc La Grange - Geneva - Switzerland. Sat 12:Jul - Homelife - Brewery Arts Centre - Kendal. 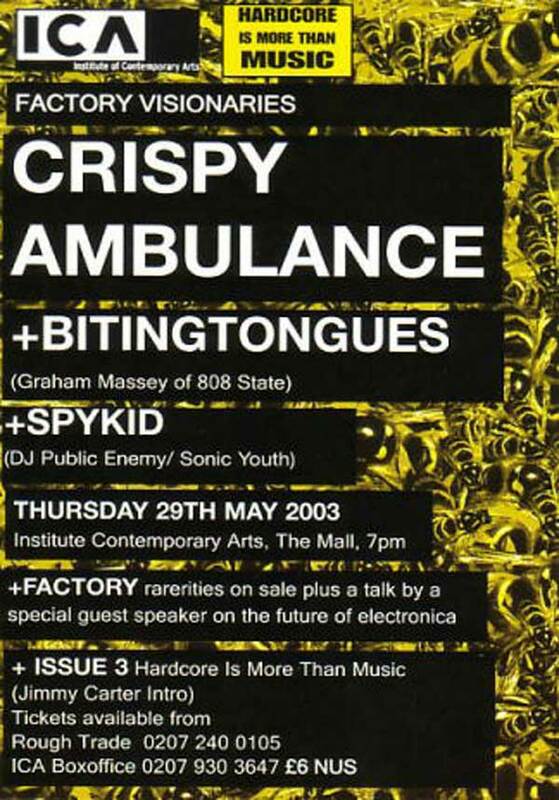 Sun 29:Jun - 808 State DJs - Glastonbury (unconfirmed). Fri 20:Jun - 808 State DJs - Club Central - Singapore. Fri 6:Jun - 808 State DJs - Ascension - Manchester. 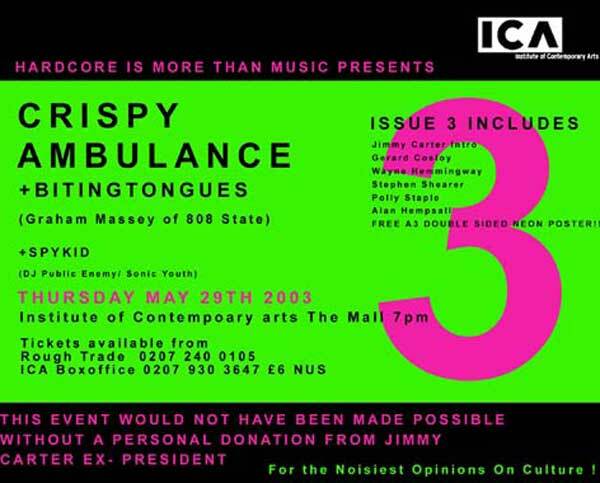 Thu 29:May - Crispy Ambulance & Biting Tongues live - ICA , London, England. One-off gig! Fri 09:May - 808 State DJs - Strategy @ Zanzibar - Liverpool. Report. Sat 26:Apr - 808 State Live - Skol Beats 2003 - Sao Paulo - Brazil. Report and images. 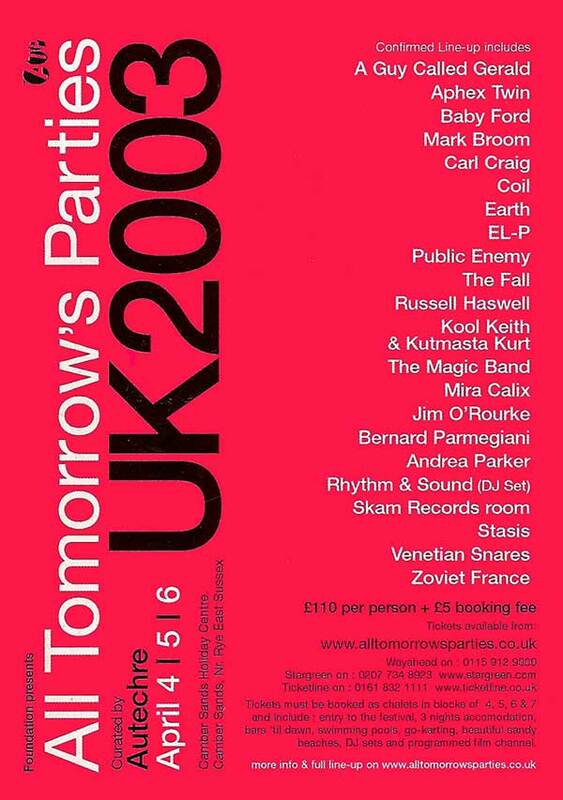 Sun 06:Apr - Massonix - All Tomorrow's Parties (ATP) UK2003 - Camber Sands, England. Images. Sat 08:Mar - Homelife - Barbican - London.